Q: What age students attend your program? A: For the 2019 Fall semester, we will be offering 3-4 kids classes. For 5-6-year-olds – Kindergarten; for 6-7 year olds – 1st grade; for 7-8 year olds – 2nd grade and for 8-9 year olds we will have a 3rd grade. We also have adult classes for 16 years and older. We are still looking for an enthusiastic student who is 100 years old. Q: I have a 4-year-old. Can she attend the beginner class? A: Kids must be 5 as of September 1 to start in our kindergarten class. Q: I have a 12-year-old who would like to learn German; do you have a class for him? A: Not at this time. However, if you can find a minimum of 6 friends who would like to join you in learning German, we will start a class! 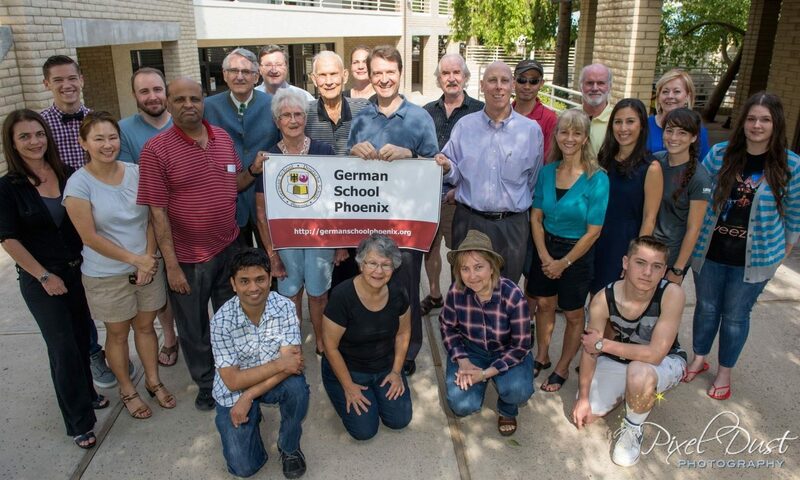 Please contact marketing@germanschoolphoenix.org for those who are interested. 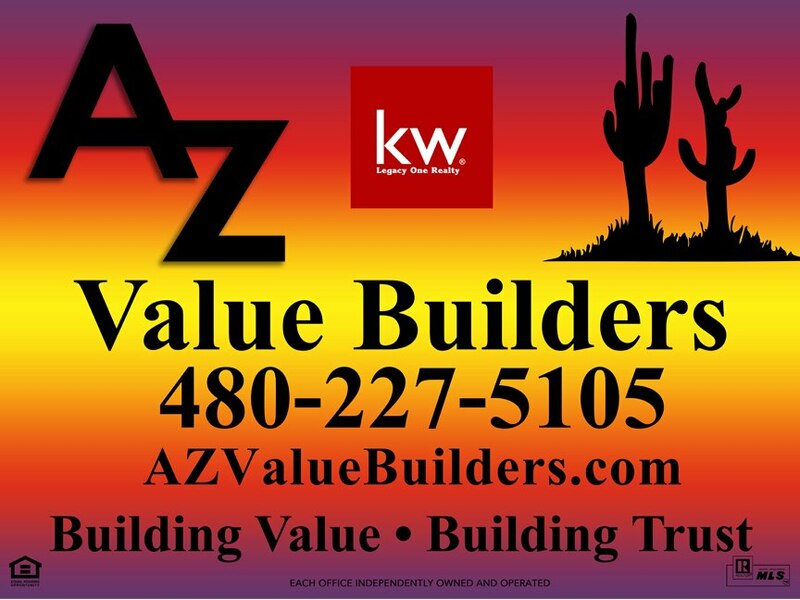 Q: Do you have classes on the west side of Phoenix? A: We would love to start up classes on the West side, but have not had enough interest at this time. If you and 6 friends would be interested in learning German, we will be happy to bring our excellent teachers and materials to start up a class. In the meantime, you can register for the monthly emails HERE. Q: Who are the teachers and how are the courses structured? A: The teachers have been carefully selected to fit the age group that they are teaching both, in terms of personality and teaching experience. Solid learning is the main objective of the program and requires consistent work, including some homework, without being overwhelming. The curriculum emphasizes all aspects of language learning including grammar, vocabulary, syntax, pronunciation, immersive communication as well as cultural aspects using group work. A positive environment is therefore important so that the students regard being in a German environment once a week as a highlight of their week and remain voluntarily immersed in the culture. A: Yes. Each teacher will hand out appropriate assignments to help build vocabulary, grammar and to strengthen reading and writing abilities. Q: I’ve learned some German before and I don’t want to start over at the very beginning. Can I start at a higher level? A: Yes! We offer a free 1-time visit to sit in on a class. Please visit us for the class you would like to join. After class, our teachers can talk with you and offer a short verbal assessment test to see in which class you should be placed. Already in a class? Bring a friend to visit for their free 1-time visit! Q: I registered for the wrong class/want to switch classes. A: If you are sitting in a class and realize that you should be in a higher (or lower) level, please let your teacher know. There will be no fee for transferring to a higher /lower level. Q: I need to cancel my registration. Q: I can’t attend a class; can I get the materials that will be covered? A: If you know ahead of time that you will be missing a class, please let your teacher know so they can work with you. If you know the day of the class, please email your teacher so they can send you the study materials after class. Q: I’d like to know more! Can I come visit a class? A: Absolutely! We invite you to join us for 1 free class. If it’s the right fit for you, please talk to your teacher about enrolling. Q: Will I receive college credit for these classes? A: At this time, German School Phoenix does not offer college credit. However, we have made arrangements with Glendale Community College so that you can prepare by attending our classes and then take their test to receive college credit. Q: Will I receive a certificate of attendance for these classes? A: To receive a certificate of attendance, you must be present for 75% or more of the semester classes. Q: Are the classes organized by semester or by school year? A: Our curriculum is written for the whole school year. You will learn the most starting in the fall and continuing through the spring. Our Fall and Spring classes focus on reading, writing, grammar, and speaking. The summer class is structured differently and the focus is mainly on speaking. This is a great class for those who are traveling in the near future or want to keep their German skills up. The more effort you put into learning a language, the faster you will excel in the classes. Q: What time does Saturday School start and end? A: Yes. We offer an 8-week conversational class that focus on speaking and pronunciation. We currently offer Adult summer classes only. Q: Why do I need to register a whole month before school starts? A: We accept registration up to the first day of our school semester. However, it takes time to find and hire the best teachers for all of our students. We also make sure that we have enough space available so that we keep a good student to teacher ratio. Knowing this before the first day of school helps us prepare for the best learning environment for our students. Q: When is registration and payment due? A: We accept cash, check, credit card or PayPal. A: Not at this time. Our goal is to keep the costs and fees at a great value to each student. A: We offer a 10% friends and family discount. If your friend signs up for a class, you and your friend get a 10% discount for the semester. You can get your discount when you check out ONLINE. Q: I would like to be updated with current school information and local German festivals. How can I sign up for your informational email? Q: I love my school! Are there volunteer opportunities? A: Yes! Our school hosts a table at various German events throughout the year. Volunteers are needed to help man the table and tell others how much you love your school! If you are interested in volunteering, please contact Marketing@germanschoolphoenix.org to volunteer! Q: I love my school! How can I support it? A: You can just go shopping as you normally would at Amazon Smile! Q: I would like to practice my German during the week. Where can I go? The speaker should arrive at least 10 minutes early. The presentation should be in German unless pre-arranged otherwise. The presentation should be on a topic relevant to German language and culture. The presentation slides must be submitted to the executive director at least three (3) days in advance of the day of the presentation for review. The speed of the presentation should be at most half the speed of a regular presentation, slower for the beginner class. The presentation should be no more than 15 minutes in length. The guest speaker should allow for 5 minutes of Q & A. If the guest speaker chooses to attend class before or after the presentation, then class must not be interrupted.